You will need to either create or find an appropriate image. You can find quite a number by searching in Google, the trick is to find something that is cheap (or free). After you find (or create) the proper image, click on Lists then Templates to see a list of your templates. Select your starting template, then click the Templates button at the bottom of the page and select Duplicate. Select the type of template you are creating. Click the Templates button again and select Edit Template. Click the Manage Templates button and in the upper right you can change the name. Make it clear what this is. Select the Layout Designer, click the Add button and then add an Image. 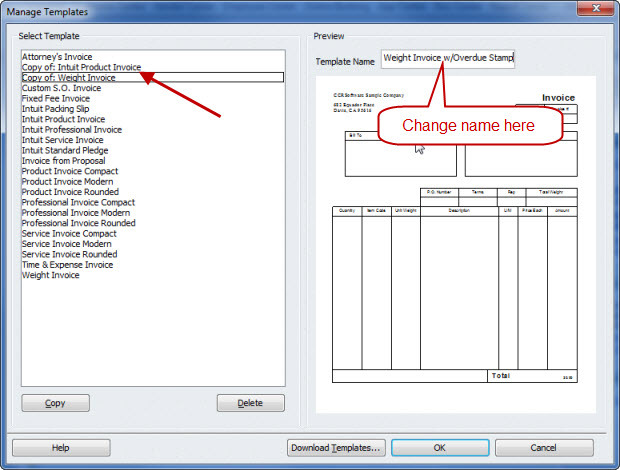 Select the image file that you want to use, then drag it to the appropriate place on your form. Keep in mind that if you are printing your invoices on a black and white printer, some color images don’t always stand out well. You can use a text block as well, but if you can find a nice “stamp” graphic, that would look better. 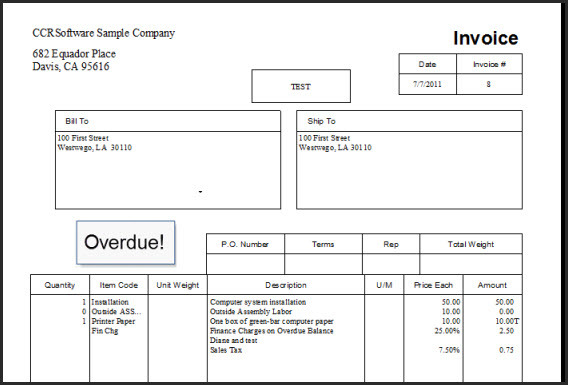 Now, if you reprint that invoice (or create another), use the “overdue” template. Cant I put overdue stamp on the statement? if I can how? Sindi: You would use the same method as I describe above – creating a special template with your graphic added. 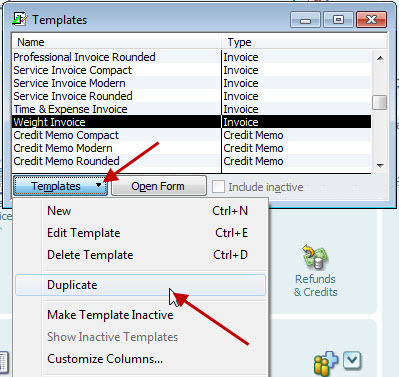 When I create a credit memo for an invoice the invoice is marked PAID, but I want it to say CREDIT MEMO APPLIED. You can’t change the Intuit stamps themselves. 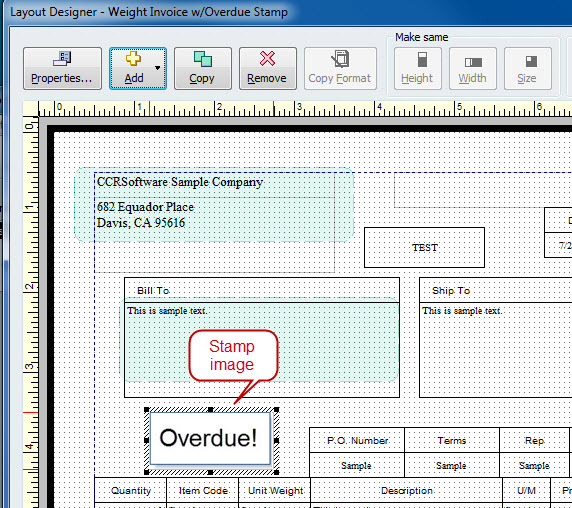 Find or create a stamp graphic that has the text that you want, create a copy of your invoice template, modify that template to add the graphic (or you can just use a text box if you wish). When the memo is applied, manually change the template of the invoice from the standard one to the modified one. « FAQ:Why Does QuickBooks Mark My Invoices as “Paid”?